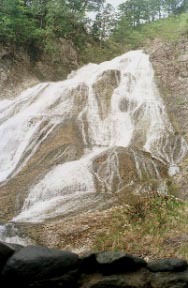 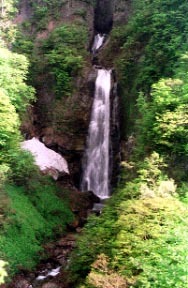 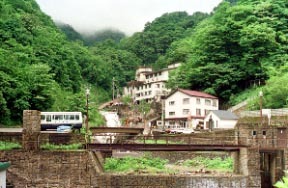 Several Ryokans are located in a line with the quiet valley for several minutes from a hakusan road-through-a-forest chugu toll gate. 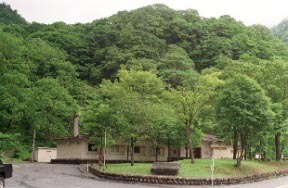 A hakusan conservation-of-nature center, chugu pavilion. 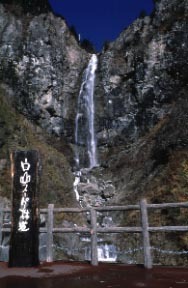 "The waterfall of the rock bottom (kiln there)"